December 31, 2018, marked the close of “Curating East Africa: A Platform and Process for Location-based Storytelling in the Developing World,” which was funded by an NEH Digital Humanities Advancement Grant. The project white paper is now available. “Curating East Africa” resulted in the development of a beta of the WP Curatescape plugin, which permits an easy, streamlined workflow for scholars and organizations to create media-rich geolocated narratives in the developing world or wherever cost is a primary concern. In addition, the project website, MaCleKi, debuted the associated Curating Kisumu WordPress theme, developed expressly for the less-capable devices and low-bandwidth settings such as those that prevail in most of sub-Saharan Africa. Late in the grant, responding to comments by our evaluators (which are detailed in the white paper), developer Erin Bell refined the organization of the MaCleKi landing page so that it more clearly highlights major project themes through tours, subject categories, and tags. 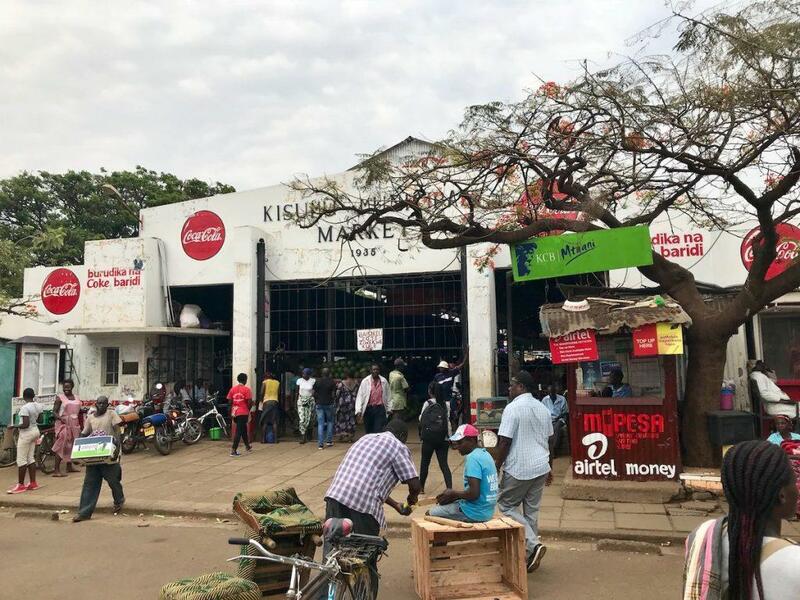 Students at Maseno University and Cleveland State University continued to collaboratively curate place-based stories about Kisumu, the third-largest city in Kenya, an activity that began in 2015 under an earlier NEH Digital Humanities Start-Up Grant titled “Curating Kisumu.” Over three semesters, students worked in conjunction with the Kisumu Museum (a unit of the National Museums of Kenya) to research and write 23 new stories for MaCleKi, bringing the total to 54. These stories included histories documenting commercial streets, industrial plants, sacred landmarks, community organizations, informal settlements, a school, a hotel, and fishing villages, as well as examinations of traditional homesteads, cooking, elders’ meetings, gender roles, and funerary rites and memorialization of the dead, among others. A related photographic archive of nearly 1,000 historical and contemporary images, called Kisumu Archive, was also developed, using the Omeka content management system. The project faced some challenges, as described in the white paper. Unrest surrounding the 2017 Kenyan national election and both a student strike at Maseno and a nationwide public university faculty strike interrupted the Maseno-CSU collaboration on content. In addition, and more critically, WordPress released its transformative “Project Gutenberg” block editor as part of version 5.0 in December 2018, forcing reconsideration of our plans to encourage wider adoption of the WP Curatescape plugin immediately following the grant period. While WP Curatescape is available for testing and review on GitHub, we are hard at work replacing it with a completely new plugin, designed specifically for the rapidly-evolving WordPress block editor. To further differentiate this new plugin from the “classic” Curatescape (which was built on Omeka) and to embrace how it draws on the very different WordPress ecosystem, we are calling it PlacePress. A full buildout of PlacePress will become a key part of our grant-seeking efforts in the coming year, but we expect to release an initial version of the plugin that will offer Location and Tour functionality later this year. The co-directors of the NEH project, Mark Souther and Meshack Owino, have been writing and presenting on the results of the grant over recent months. They wrote a short piece for the Social Science Research Council’s Parameters in December and are completing an article to be published by Cambridge University Press’s methodological journal History in Africa later this year. They also presented at the 19th Annual Africa Conference at the University of Texas at Austin in late March, where they discussed possible collaborations with scholars in other African universities. Souther will also give a public lecture about the project as part of Georgia Tech’s School of History and Sociology Spring Speaker Series on April 8. The Center welcomes inquiries about “Curating East Africa” and the Curatescape and PlacePress initiatives, including from potential collaborators.